Complete Naraku piston kit for the 60cc Naraku cylinder kit on Kymco and SYM cylinders, where the intake is on the cylinder. 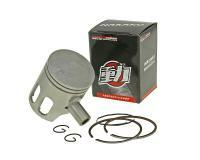 Comes with piston, piston rings, gudgeon pin and circlips. 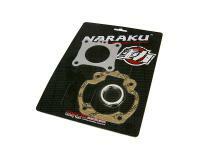 We recommend ordering the relevant gasket set as this is required.